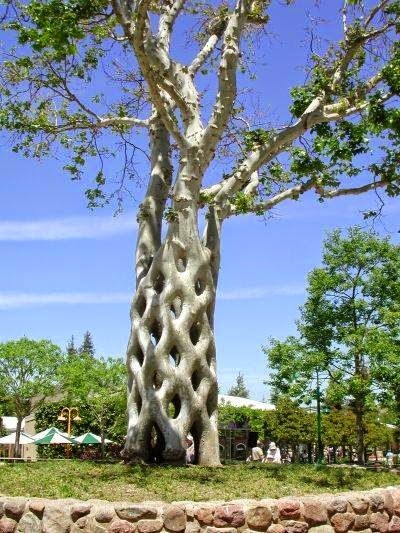 There once was a creative arborist named Axel Erlandson. A lot of people do stuff like this with Bonsais, but it's really quite a feat to do them with full-grown gigantic trees! He made about 75 of his "circus trees", but nobody took care of them after his death in 1964. Today only a few of them are left, but they are being taken care of as part of the Gilroy Gardens Family Theme Park in Gilroy, California.